The BD Guild November 9th meeting at Haworth’s cutting-edge showroom in downtown Los Angeles put management’s view of business development on the hot seat exploring “Defining Success: Business Development from Management’s View”. The panel was as experienced as it was diverse: Cathy Orquiola, Division Manager of PCL Construction Services; John Passanante, Western Region Leader of Syska Hennessey; Jack Price, Founder of Price Architects; Ken Kastner, Founder and “Non-Executive Chairman of Unisource, Inc. and moderated by Saundra Price of Price Architects. Ken won the vote for most interesting title. The group in attendance took in interesting patterns of thought. Music to many ears, Cathy shared how BD has an opportunity to bring leadership internally and often serves as “the glue” of operational teams. John described how Syska is shifting its approach from pure seller-doer to integrating BD in their culture and approach. Jack reflected on his personal business development journey from not giving much thought while at a large firm to embracing the need and respecting the talent that makes up the profession of business development. Ken indicated BD is not isolated – he asks his administrative team to partake in BD activities. While Ken articulated how the world is changing with respect to technology, social media, ways of communicating, he and John agreed certain fundamentals remain: building relationships, understanding the customer, delivering value. The crux of defining success was most enlightening. “It’s not that complicated!” seemed to be the point of emphasis. Uncovering market intelligence, # of strategic relationships to the table, positioning an opportunity for a reasonable likelihood of success, be aligned with company objectives paint the picture of progress. 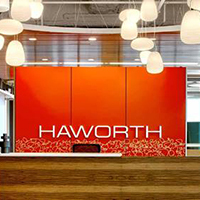 Thank you to Haworth and Unisource for hosting the meeting. Look for the next Southern California Business Development Guild meeting in January 2018.